On Sunday, Chief Minister of Delhi Arvind Kejriwal and Chief Minister of West Bengal Mamata Banerjee had attended a poll rally in Visakhapatnam to back their Andhra Pradesh counterpart N Chandrababu Naidu. With the trio sharing the dais, the rally showcased Opposition unity ahead of the Lok Sabha election. 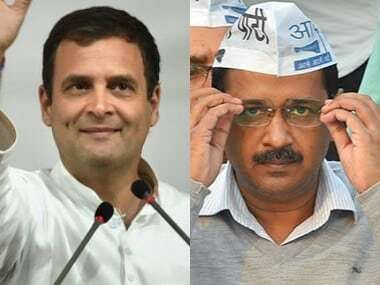 However, the possibility of the Congress and Aam Aadmi Party (AAP) joining hands in Delhi to stop the BJP from coming to power has been hanging by a thread, even though both the ruling party and the party whose three-term government AAP ousted are both in the Opposition in national politics. One argument that makes the alliance necessary for AAP is that voters might keep the broader "Rahul Gandhi versus Narendra Modi" narrative in mind and make AAP's hyper-local outreach irrelevant. Addressing three public meetings in Delhi on Monday evening, Kejriwal appealed to Delhi-ites to vote for AAP with the aim to make the city a full state and not get caught up in deciding who the next prime minister will be. The Muslim vote bank is another argument. Nearly 12 percent of Delhi's population is Muslim. The community mostly comprises Congress supporters, but AAP got 77 percent of the Muslim votes in the 2015 Delhi Assembly election. At that point, the Congress had weakened in the National Capital, and many had tactically voted for AAP to reject the BJP. This might not be the case today because Muslim voters may want to improve Congress' presence nationally and return to its old loyalties. In the 2014 Lok Sabha election, AAP secured 56 percent of Muslim votes, while Congress got 39 percent and BJP, 2 percent. So essentially, a party that came to power winning 67 of the 70 seats in the Vidhan Sabha election has been seeking an alliance with the grand old party that had failed to secure a single seat in the same election. Such is the irony of Delhi politics. 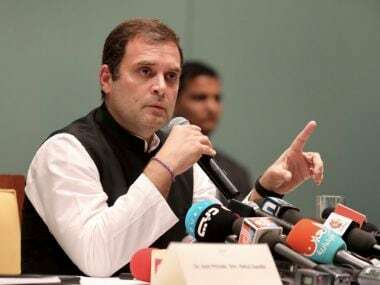 On Tuesday, while releasing the Congress manifesto in New Delhi, party president Rahul Gandhi responded to a question on the possible alliance with AAP, saying there was "no confusion on the issue". The Congress is very clear on the matter, has constructed alliances and is open to more alliances, he said. While he did not decline the possibility of an alliance with AAP, he shifted the focus away from this particular alliance towards alliances in general. The Congress has been indecisive about allying with AAP because of the split within its Delhi camp. While party leaders PC Chacko and Ajay Maken are for the alliance and are talking about the two parties trying to reach a consensus, former Chief Minister of Delhi Sheila Dikshit is opposed to the idea and is seen contesting AAP's views on statehood for Delhi, its primary poll plank. 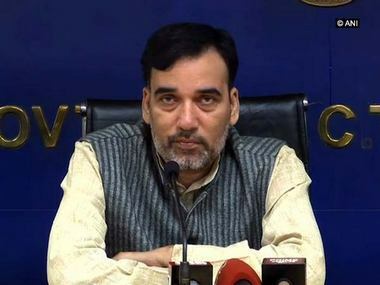 Less than 24 hours before Rahul's press conference, AAP Delhi convenor Gopal Rai had responded to a question about reports of the Congress supposedly offering a 4-3 seat-sharing arrangement in Delhi. "Which formula?" he said. "The one that is running on TV? TV channels are reporting that the Congress has offered a 3-3-1 or 4-3 formula in Delhi, three seats in Haryana and zero seats in Punjab. If they proposed zero seats, how is that an offer?" The only two seats that AAP is likely to offer the Congress are Chandni Chowk and West Delhi. The former is traditionally a Congress domain— except in 1977 when Sikandar Bakht won on a Janata Party ticket, when BJP's Tara Chand Khandelwal in won in 1991, and Vijay Goel won by slim margins in 1998 and 1999. After AAP announced that party leader Balbir Singh Jakhar was its candidate from West Delhi, Rai had said that AAP had waited for a long time, hoping the Congress would respect the mood of the nation to rid the country of the Narendra Modi-Amit Shah duo. Moreover, Kejriwal is neither likely to risk losing his trader votes by giving up on Brajesh Goyal's New Delhi seat, nor is he likely to disappoint Gugan Singh Ranga's North West Delhi seat because he helped him ace the Bawana bypoll. Multiple seat-sharing calculations are doing the rounds and are being understood as the main cause for the delay in the alliance. Also, the ideological friction between the two parties is evident to Delhi voters, which means that the longer they take to come to a decision, the more desperate the alliance will seem. On Monday, senior AAP leader Sanjay Singh said the Congress is more interested in ending regional parties — contesting against the Samajwadi Party-Bahujan Samaj Party combine in Uttar Pradesh, against the Trinamool Congress in West Bengal and Left parties in Kerala — instead of defeating the BJP. Such repeated war of words on public fora drastically bring down the gravity of the alliance. Delhi goes to polls on 12 May, and the lack of clarity on the alliance is a testament to the ideological bifurcations within the political narratives adopted by both parties.